In celebrity news, Stephanie Pratt is not a fan of celebrity couple Spencer Pratt and wife Heidi. According to People.com, Stephanie believes that “no one knows the real Heidi” and that ultimately she’s the reason for the split in the family relationship between brother and sister. Stephanie tried to save the relationship and put on a good front for the cameras because of her job obligations with her parents and just for the sake of her relationship with her parents. However, now the gloves are coming off, and Stephanie is only being honest. Stephanie claims that Heidi doesn’t want Spencer to “have a relationship with anyone but her” and because of this, Stephanie “cannot live near them, They are the most toxic people I’ve ever met.” It looks like this relationship is far from being on the mend. In celebrity news, Stephanie Pratt doesn’t consider Spencer and Heidi family anymore. What are ways to mend your relationship with your family? 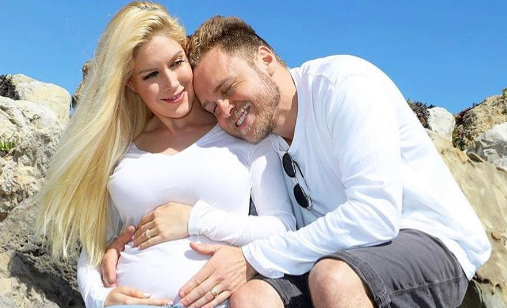 Congratulations to Heidi Montag and Spencer Pratt, who just welcomed their first child into the world! The celebrity baby, whose parents are most famously known for starring on The Hills a few years back, is named Gunner Stone. He was born on Sunday, October 1 at 3:06 pm. Montag told UsMagazine.com that it was the “hardest and most rewarding experience,” but she feels that the couple is very blessed. Pratt, Montag’s husband, called it the “most lit day” of his life. This celebrity baby has a memorable name — Gunner Stone. What are some ways to compromise with your partner on baby names? Celebrity couple Heidi Montag and Spencer Pratt have decided on a name for their celebrity baby boy! As these two stars got their start in reality TV, it is understandable that the couple share a love for social media. In a recent celebrity interview with UsMagazine.com, Pratt shared the couple’s plans for their newest arrival stating “I would just like my baby to be a professional content maker.” In order to secure the babies role in the social world, Pratt and Montag made sure to choose a name with an available social media handle. Social media is being put to use for celebrity baby names these days! What are some ways you can use social media to come up with baby name ideas yourself? Former reality TV star Heidi Montag is hopeful that she’ll be starting a family next year with her husband Spencer Pratt. He hasn’t always been fond of the idea of fatherhood, admitting he’s “baby blocking” her. However, Heidi believes she can change his mind about having a celebrity baby. This is something that many couples go through — one partner is absolutely ready to become pregnant, but the other is either not sure or is against it. With the Internet being so prevalent these days, some people make the argument that relationships are “not official until they’re ‘Facebook’ official.” And, it seems that many celebrities are taking this phrase to heart and publicizing their relationship on their Twitter, Instagram, Facebook, and other social media feeds. Below, Cupid has three celebrity couples that have let social media run their relationship. 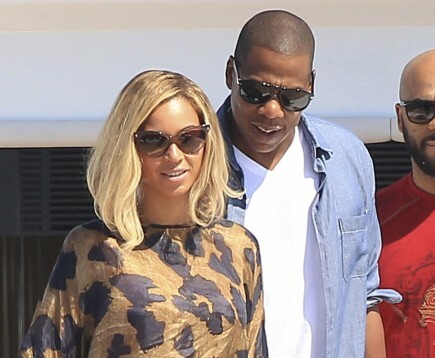 There are some celebrity couples that we love to hate. Sure, they annoy us, but we can’t help but wonder what they’ll do next. And then there are those couples that we want to go away. They’re constantly in the news — and often, for the wrong reasons. Thanks to their outlandish behavior, we’ve forgotten why they’re famous in the first place. How do you make a ski trip romantic? Did Heidi Montag Have a Crush on her Plastic Surgeon? How can you tell if your partner is obsessive? Alright, Gwyneth, I see your point. There are definitely famous couples who live for the spotlight, which is pathetic. One obvious example is former Hills stars Heidi Montag and Spencer Pratt. What are some creative ways to renew your vows? If you get back together with an ex, what are some good ways to break the news? The Hills stars Spencer Pratt and Heidi Montag have had their share of ups and downs. After deciding to divorce, Pratt admitted to TMZ that he didn’t take proper care of himself. Digital Spy now reports that he wants to clean up his image because the couple are “spending more time together.” Shaving his beard seems pretty minor considering the changes his estranged wife went through for him. Multiple plastic surgeries later, Montag has bigger breasts, a thinner nose and fuller lips. But Pratt says he would shave his beard if it meant getting back together with Montag. “I’m really sorry to see it [his beard] go… For months it was my only friend, and a perfect place to save leftovers,” he joked. Pratt and Montag fueled reconciliation rumors after the pair were spotted together in Los Angeles recently.Should you change your image for love? Heidi Montag and Spencer Pratt are officially calling it quits, TMZ reported last week. The reality TV couple, who, according to Montag, first separated on their one-year anniversary, are set to finalize their divorce on Valentine’s Day. The long wait is due to California law, which dictates that a couple must wait six months after filing divorce papers before the marriage is finally terminated. Spencer Pratt was served divorce papers on August 13, ironically causing the six-month mark to fall on Valentine’s Day. How can you handle holidays and anniversaries after a breakup? Well, it’s official: US Weekly confirms Heidi Montag filing for legal separation from Spencer Pratt on June 8. She was photographed leaving a Santa Monica, Calif. courthouse, papers in hand, sans wedding ring. While TMZ has a PDF of the papers, US Weekly speculates that this is another publicity stunt to keep the duo in the news. It’s important to note that the 24-year-old filed for separation, and not divorce, meaning that her earnings will become hers alone from the date of separation. Are Heidi Montag & Spencer Pratt Calling It Quits? Heidi Montag of ‘The Hill’s fame revealed to People that she has moved out of the Pacific Palisades, Calif. home she shared with husband Spencer Pratt. Montag said she needed time alone to get away from the lies she believes her family and friends are saying about her. She added that she wants time to concentrate on herself, and will spend the summer with new roommate Jen Bunney, as they will be shooting their own reality show. For couples that have weathered continuous ups and downs in a relationship, how can you make things work?